Hundreds of people are feared to have drowned after a boat carrying up to 700 migrants capsized in the Mediterranean Sea, the Italian coastguard has said. The vessel, thought to be just 20m (70ft) long, capsized in Libyan waters south of the Italian island of Lampedusa. The European Commission has called for an urgent response to the crisis. 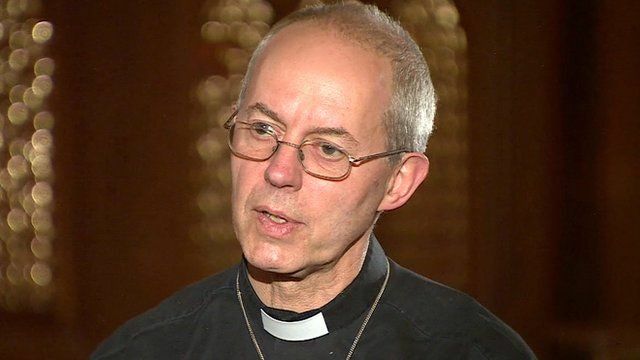 Speaking on a visit to religious and political leaders in Egypt, the Archbishop of Canterbury, Justin Welby, told the BBC's Lyse Doucet that the whole of Europe must share responsibility in dealing with the problem. ''It will be demanding, and that's why the burden must be spread across the continent, and not taken by just one country or one area, '' he said.